IUP housing offers newly built, handicapped accessible, suites that accommodate up to 4 people each, with a total of 3,532 beds. Included in each suite are individual bathrooms, microwaves and refrigerators, individually controlled air conditioning and heating units, laundry and trash disposal facilities on each floor. The link above will take you to the IUP Marketplace where you can purchase rooms online through the University Housing. PLEASE READ THE INFORMATION BELOW CAREFULLY. You may not have linens if you don’t purchase the separate package and will definately will not have a pillow. IUP staff will be available at Conference Registration to check you into and out of Residence Hall rooms on Wednesday, June 22nd and Thursday, June 23rd. Early check in on Tuesday, June 21st and other Residence Hall support is available by phone at (724) 422-9605. Provided in Residence Hall Lodging Rate: Secure “key-card♦” access, single beds, desk & chair, closet, dresser, microwave, and mini-refrigerator. Public areas only housekeeping services. Access to vending machines in lounges. Not Provided: pillows, soap/shampoo, drinking glasses, bath towels, daily housekeeping services for rooms. *Bed and Bath linens can be provided (at an additional per person charge as indicated above) and will include the following: Two flat sheets, One lightweight blanket, One hand towel and One wash cloth. Registration/Check-in Information: All participants will check in at the Kovalchick Convention and Athletic Complex. Conference Services Personnel and staff from the UNIVERSITY’s Housing Office will be available to facilitate the registration process. There will also be a UNIVERSITY information table set up in the Lobby for the duration of the event for UNIVERSITY/KCAC related questions and/or concerns. Dining hall information and access cards will be provided to the participants by UNIVERSITY Conference Services. ♦Key-Card Replacement Charge: $45.00 per key-card. A lock must be replaced if one or more key-cards are not turned in at check-out. The AMR Conference Committee is not responsible for lost key-cards, items that may have been left behind in the rooms or destruction of property (those costs will be passed on to the responsible party). Provisions for key-card returns are during regular Thursday check-out at Residence Hall, or turned in at Registration Table to Conference Services. Scholarships: Scholarships will be considered this year for lodging at IUP dorm on June 21st and June 22nd at the above stated rates on a first come first serve basis, and may be offered in whole or part to members of non-profit community / watershed organizations and conservation districts in Pennsylvania or adjoining states. Preference will be given to those who can room together to save on lodging costs. Mileage and other travel costs are not being considered this year. The PA AMR Conference Committee reserves the right to award scholarships on demonstrated need, distance, and availability of funding. The scholarship request deadline is June 1st 2016. Scholarship awardees will be notified following this deadline. Please contact Robert Hughes at rhughes@epcamr.org or (570) 371-3523 for more information. Scholarship awardees will be responsible to make their own reservation by the lodging deadline (stated above). Upon leaving the conference the base room rate should be charged to the PA AMR Conference Master account (If it is not, the AMR Conference Committee will reimburse you via check after the Conference with proof of purchase for the base room rate). 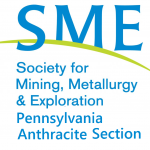 The PA AMR Conference Planning Committee will be providing a list of scholarship awardees to IUP. You may be required to place your credit card on your room with IUP for extras and incidentals, which are not the responsibility of the PA AMR Conference Committee, as the scholarship is only for the room. Cancellation of the room less than 24 hours prior to stay or “no shows” will also not be the responsibility of the PA AMR Conference Committee and will be billed to the contact information provided on the scholarship application form.